Have you bought the perfect costumes, but searching for something to spice it up a bit? Looks like you have landed on the right page. 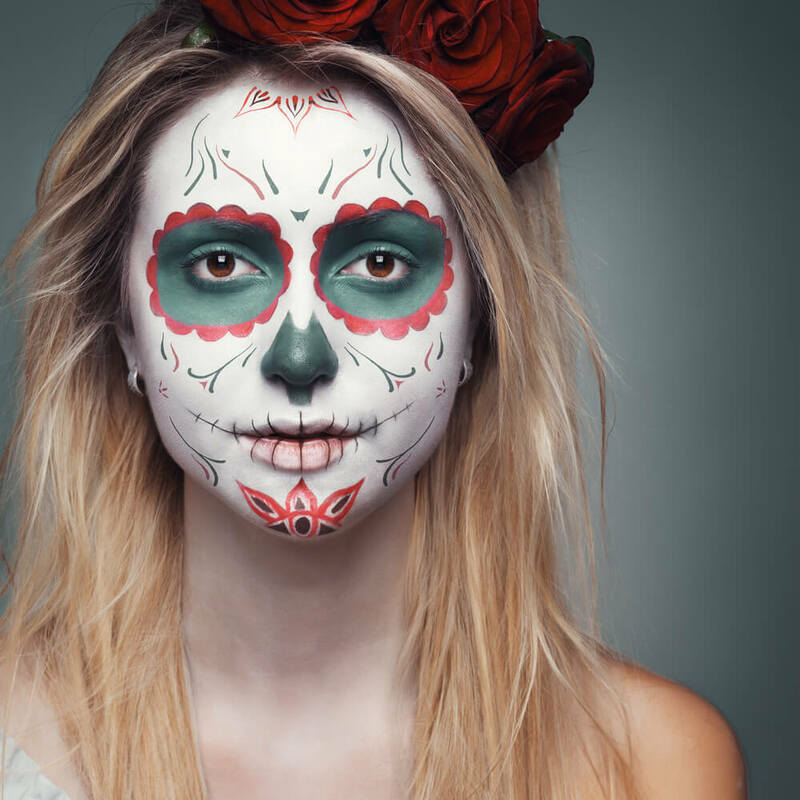 We have some of the best Halloween face paint ideas that will make your Halloween even more spooky and scary. 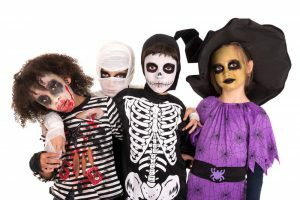 Decorate your home with Halloween lightings and special effects, grab your favorite Halloween treats, and take a look at these mind-blowing face paint ideas that will match with the just about any Halloween costumes you could think of. You will get some of the best Halloween makeup ideas on this page; from the scary witch and creepy clown to pretty fish and peacock. 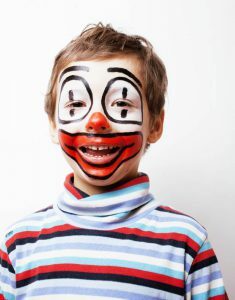 Face painting is a cool way to show your scariest personality. Halloween face painting is something that fascinates everyone, especially kids and young. Moreover, it is a great way to add some beauty and fun to your Halloween wardrobe or create one all on its own. Whether you choose safe, washable face paint or go for DIY Halloween face painting, in minutes you can take your costume to the next level. These Halloween face paint ideas are for your entire family-men, women, and kids. 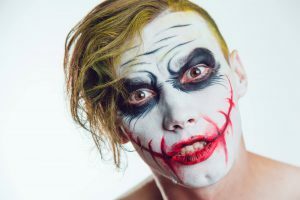 Skelton, vampire, Joker, and zombie for men; wonder woman, black swan, cat woman for women; clown, superhero, pirate, and fairy face paints for kids. 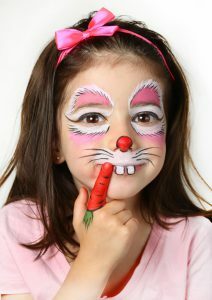 You don’t need to go to a professional makeup artist to design your favorite Halloween character on your face. 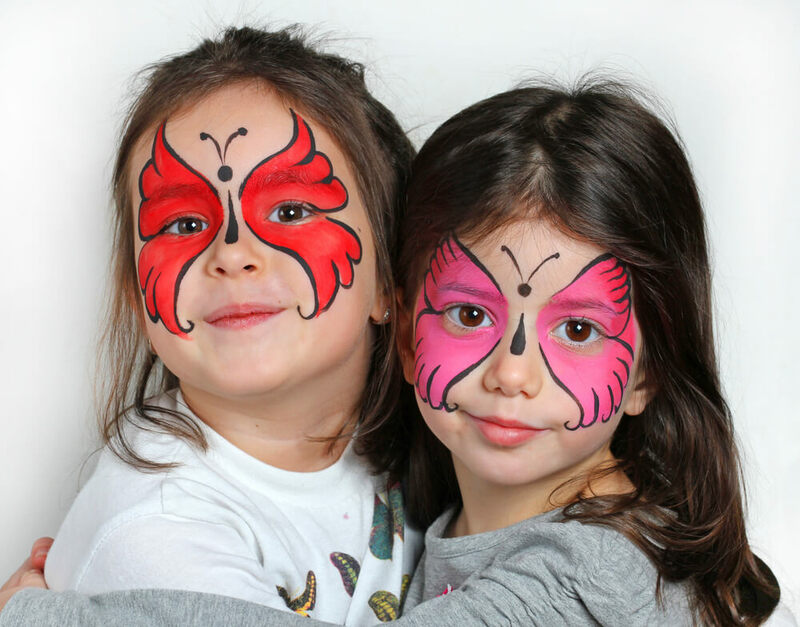 We have the largest collection of Halloween face paint ideas that will help to transform you into a clown, monster, witch, superhero, spider or another character. Download your favorite design and start practicing today. You can also share/send them to your family and friends via Email, SMS, Facebook, Whatsapp, IM or other social media channels. We’re damn sure that they will love it.